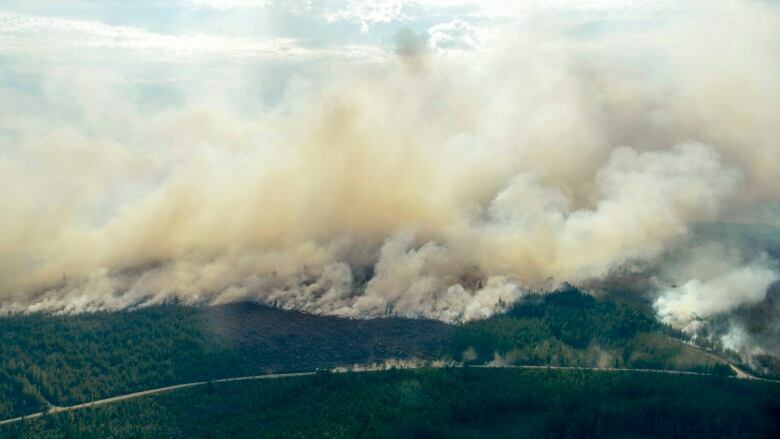 As of Friday, more than 50 blazes were torching forests, mostly in central and western Sweden but also in the North, above the Arctic Circle, and on the Baltic Sea island of Gotland. 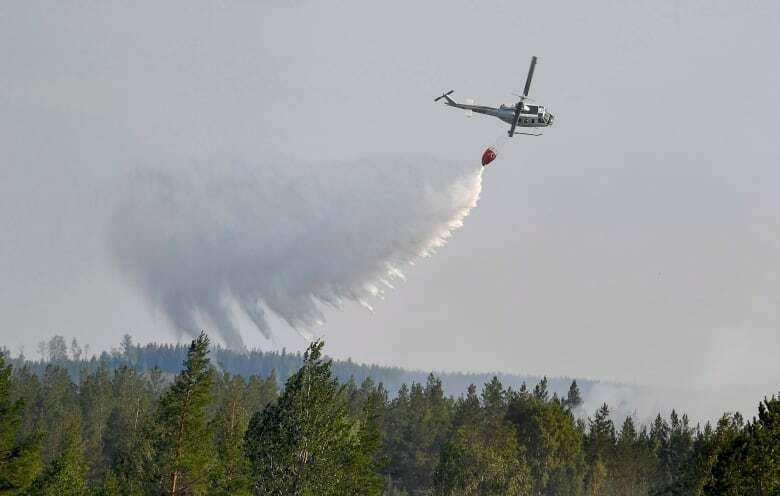 Swedish officials say the country's wildfires remain a serious situation, with the continuing hot and extremely dry weather making firefighting efforts very hard despite broad international help. 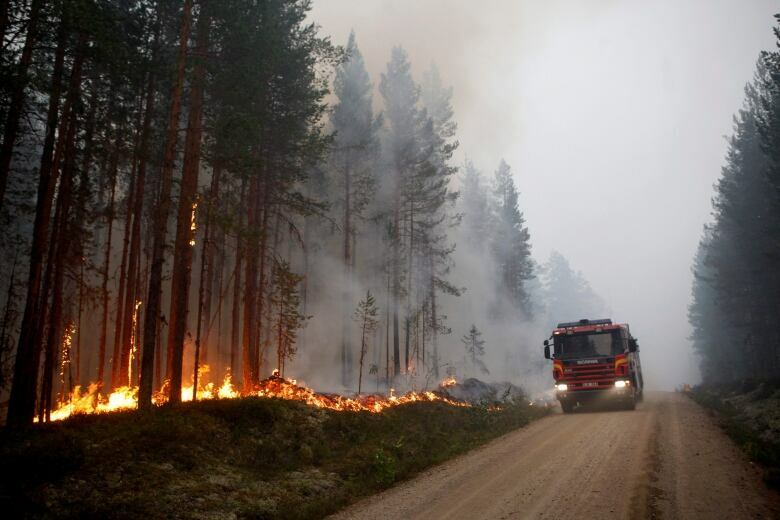 Britta Ramberg, operative director of the Swedish Civil Contingencies Agency, which is co-ordinating firefighting efforts, said Monday the risk of new blazes is now particularly high in southern Sweden. As Okanagan fires stabilize, officials warn of coming heat in B.C. In some areas emergency rescue services have called for all able-bodied men to help putting out the wildfires. The fires have come as Europe's Nordic region has experienced an intense heat wave in the past week. Temperatures have reached over 32 C throughout Finland, Norway and Sweden. The weather also has been dry with no substantial rain for weeks — making the region's brush and forests highly flammable. Sweden has received assistance — including water-bombing planes, helicopters and staff — from Italy, France and Norway. Germany, Lithuania and Portugal have also pledged assistance, while Poland sent 139 firefighters and 44 fire trucks. On Thursday, France delivered two Canadair CL-415 water-bombing planes, which can carry 6,000 liters of water at a time. Dozens of French soldiers arrived early Monday. "We fly mostly in low altitude. It's often difficult to see anything from the smoke," he told Aftonbladet. "It can be extremely difficult to see where our input is needed. Sometimes the wind changes direction and then we need to resort to different tactics."